The one and only time I saw Bobby Rydell was in 1962, when I was working as an extra in the gymnasium of Hollywood High School where "Bye Bye Birdie" was being filmed. Rydell, who was 20 at the time, played the impossibly skinny Hugo Peabody, who was infatuated with Ann-Margaret's Kim McAfee. "Only in a movie would I have a chance to get close to Ann-Margaret," Rydell says when reminded of his film debut. "I still got the hair and am pretty naive, but I'm not skinny any more." Rydell, who performs Friday at the Blaisdell Arena on the "Show of Stars," is a rarity not only for a business of one-hit wonders, but a superstar who never got carried away with his own sparkle. Now 63 with two children and four grandchildren, Rydell lives 15 minutes from the South Philadelphia neighborhood he grew up in with other former fellow teen heartthrobs, like Frankie Avalon and Fabian. "It must have been that water trough at Ninth and Dickenson where if you put your feet in it, you became a dancer, and if you drank, you became a singer," Rydell says. "It's pretty amazing that we all grew up in the same neighborhood." Rydell played drums by age 6 and, at 15, was a drummer for a Philly rock-and-roll combo group called Rocco and His Saints, which also featured Avalon on trumpet. He also became a regular at the age of 9 on the local TV show "Teen Idol." It was Whiteman and Rydell's dad who decided to change the young man's stage name from Robert Ridarelli to Bobby Rydell. "He wrote back to her and said, 'Who knows, maybe one day we'll have a star in the family.'" Rydell's dad began taking his 10-year-old son to clubs for him to perform, do impersonations and play drums. "I loved it from day one," Rydell said. "When people applauded, I recognized that it was a very nice feeling. I still like to hear the applause." WHEN RYDELL isn't touring as a solo act, he performs with Avalon and Fabian as The Golden Boys, a music-filled journey back in time, complete with videos. "We started it in 1985 and said to one another, 'Let's just see how it goes,' and here we are in 2005 and have no plans to break it up," Rydell said. "Our original audiences now have kids who started listening to their parents' music. "There's a lot of blue hair out there." Billboard magazine credits Rydell with 34 Top 40 hits, including classics like "Volare," which reached No. 4 on the singles charts, "Kissin' Time," "Little Bitty Girl," "Sway," "Swingin' School," "Wild One" and "Forget Him." Rydell's reign as a teen idol was from 1959 to '64. "I was so skinny back then that all the moms and grandmothers wanted to invite me to their house to fatten me up," he said. Now Rydell's concerts includes some comedy and family stories, as well as tribute to Bobby Darin, singing such signature songs of his as "Splish Splash," "Dream Lover" and "Mack the Knife." 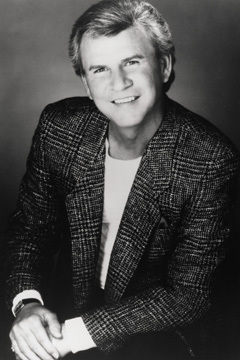 Rydell has been honored by his hometown when the 2400 Block of S. 11th Street was renamed Bobby Rydell Boulevard. The event was celebrated with a parade, a string band and Rydell arriving in a 1950 Pink Cadillac. He's also has been inducted into Philadelphia's "Walk of Fame," where he was one of the first 10 inductees to have a star on Broad Street. "I still love performing as much as I ever did," he said. "If it ever became a job, I would get out. "But when I hit boards and the lights go on and the music starts, God, I just love it." Rydell thinks he sings better now that he ever did. "My range is still the same as it always was, and I can control about anything vocally," said Rydell, who honeymooned on Oahu back in the day. "Tom Moffatt got us a house on Diamond Head Road for $100 a day, including maid service," he said. Though close friend Avalon continues to cajole Rydell to move west so they can play golf year-round, Rydell says nothing is going to get him out of his beloved Philly. "By the time I move out to California, Nevada will be oceanfront property," he said.